There is something radiantly, visibly evident and set apart at the nuptial Mass of a holy, pure-hearted couple, one who understands and embraces taking up the crosses and sweetnesses of marriage. Authentic love has the power to render wedding guests speechless and full of true joy. When you’ve chosen women of faith and selflessness to stand beside you at the altar, you can be sure their spiritual intercession and ability to enter into your joy will bless your marriage. Being able to share in a friend’s emotional state so deeply is a mark of real friendship and intimacy that tangibly enhances the beauty of a couple’s wedding day. 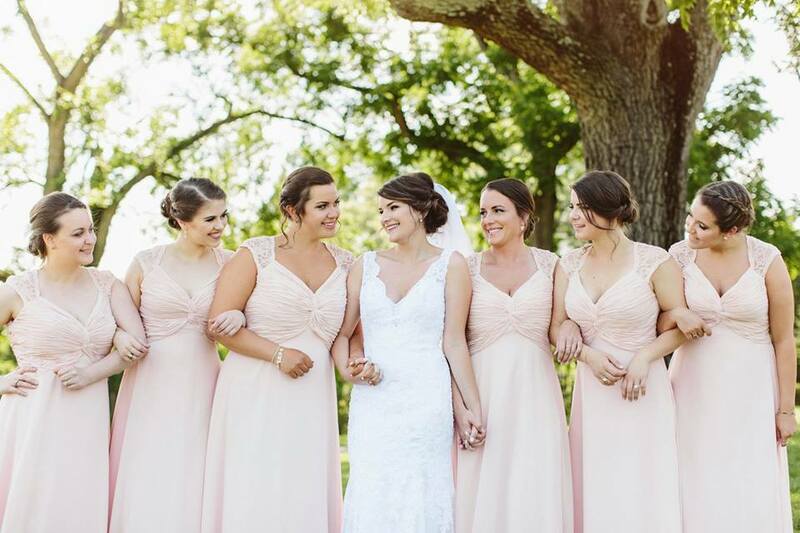 It follows that when it comes to your bridesmaids’ attire, you’ll most likely desire an outward look that magnifies and highlights each woman’s inner beauty. If you’re beginning your search for dresses, we’d like to suggest a few paths less traveled. As a department store, Nordstrom naturally has pieces to suit any taste, including youthful, elegant Juniors’ formal wear, as well as simpler day and evening dresses, at far lower prices than the designer-heavy Women’s department, and in a wide range of sizes. Maybe you’ve shopped here before or have browsed Francesca’s at the mall. The feminine, delicate styles here would fit right in at a casually romantic daytime wedding: lace, embroidery, and a selection of soft colors. They also carry gorgeous jewelry and accessories for your bridesmaids...and for you, the bride! The Dorothy Perkins brand might best be described as Red-era Taylor Swift : a little bit classic, a little bit preppy, lots of florals, looks good with red lips. This online retailer offers dozens of styles with one of the widest size ranges available and also offers maternity versions of their popular dresses, both of which get our applause. You’ve probably shopped here, too. Zara’s neutral palette and elegant, spare silhouettes are worth a look if you’ve chosen dark wedding colors (particularly black) and are drawn to a clean, simple aesthetic. Alternatively, their distinctively bold, bright floral patterns would be well-suited to a daytime celebration. If your wedding is months away, consider shopping for dresses during or right after the season in which your big day will take place. That is, look around for summer wedding dresses in the summer, and winter wedding dresses in the winter; since most non-bridal retailers don’t offer the same selections or types of clothes year-round, it’s smart to plan ahead. Consider these suggestions a starting point for venturing beyond the bridal salon, and if you’ve found beautiful wedding party attire from a less conventional retailer, be sure to share it with our community in the comments or on our social media!